Decorative concrete adds interest to your concrete driveway, sidewalk, walkway, pool, floor, countertop or patio and can increase the value of your home or business. Decorative concrete is one of the hot new trends in new and modernized homes today. From expansive new homes with elaborate concrete driveways to budgeted one-room remodels showcasing a stunning, stained concrete floor, the attraction of decorative concrete is continuing to grow. Concrete no longer has to be plain, gray and boring. It can have beautiful decorative elements that bring admiring comments from friends and neighbors. Decorative concrete includes colored concrete, painted concrete, stenciled concrete, stamped concrete and more. If you are considering using decorative concrete to beautify your home, or commercial building, call on Van Midde and Son concrete. 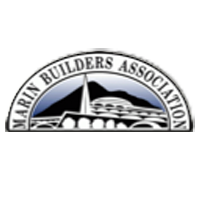 We have more then 50 years of experience helping homeowners and businesses throughout Marin County, Sonoma County and the rest of the San Francisco Bay Area design and complete their concrete projects. We are always happy to do a free estimate for you. We know that you will be pleased with the results. Located in San Rafael, Van Midde and Son Concrete installs decorative concrete in Marin County, Sonoma County and throughout the San Francisco Bay Area.